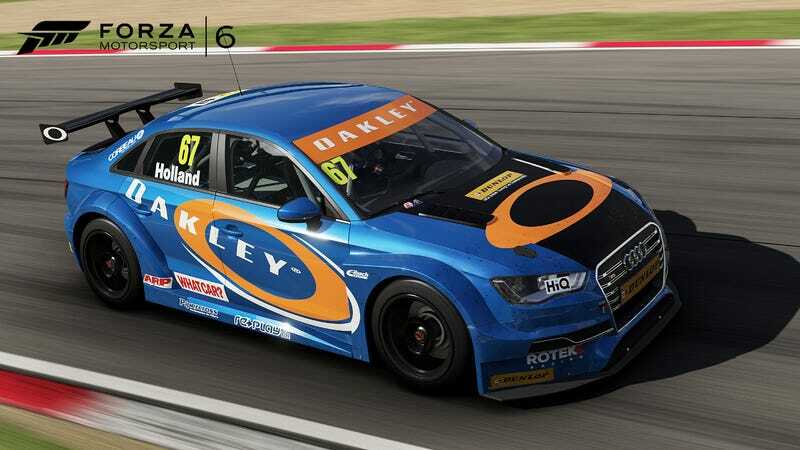 Racer And Jalopnik Contributor Robb Holland's BTCC Car Is In Forza 6! If you’re a fan of British Touring Car Championship driver and Jalopnik contributor Robb Holland (I am too, it’s why I hired him!) then we have GREAT NEWS. Robb has reached a level of digital glory few humans ever experience: he’s going to be in a video game! Well, his #67 Rotek Racing Audi S3 is, and it’s the one with his name on it. So when you fire up your copy of Forza 6 on Xbox One, you will get the chance to play as Robb, who’s both an incredible driver and an excellent human being. Forza 6 goes on sale Sept. 15 and has a pretty impressive car list so far, which you can see in the link above. Huge congrats to Robb, we’ll have to have him pretend to be himself in the game and write about what that’s like. No word yet on Jason Torchinsky’s Mahindra Mini-Truck Endurance Challenge for the Sega Master System, which is said to be stuck in development hell.